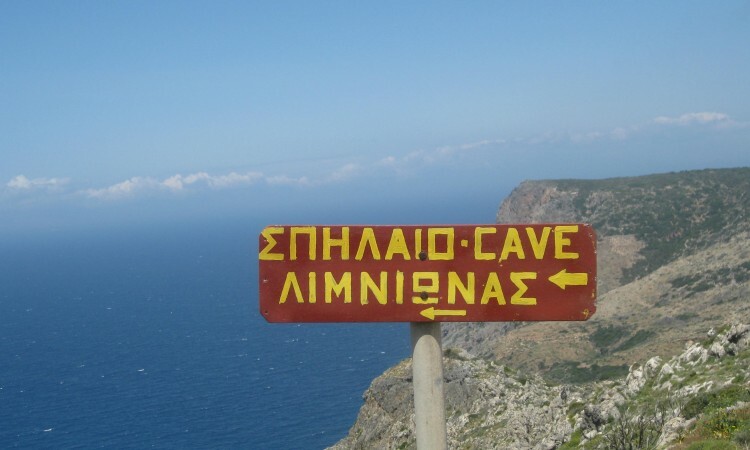 Two days ago I checked the route of day 6 of the Kythira Walking Tour, the walk from Mylopotamos to Livadi (27 km.). 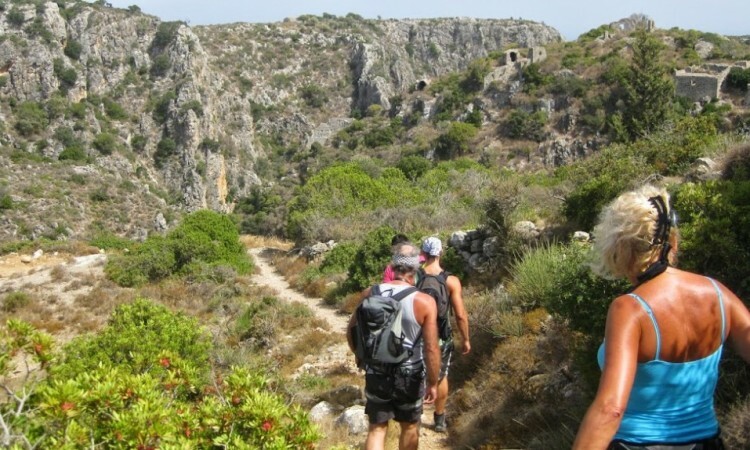 Part of this walk follows the old pilgrimage route to Panagia Myrtidiotissa Monastery. 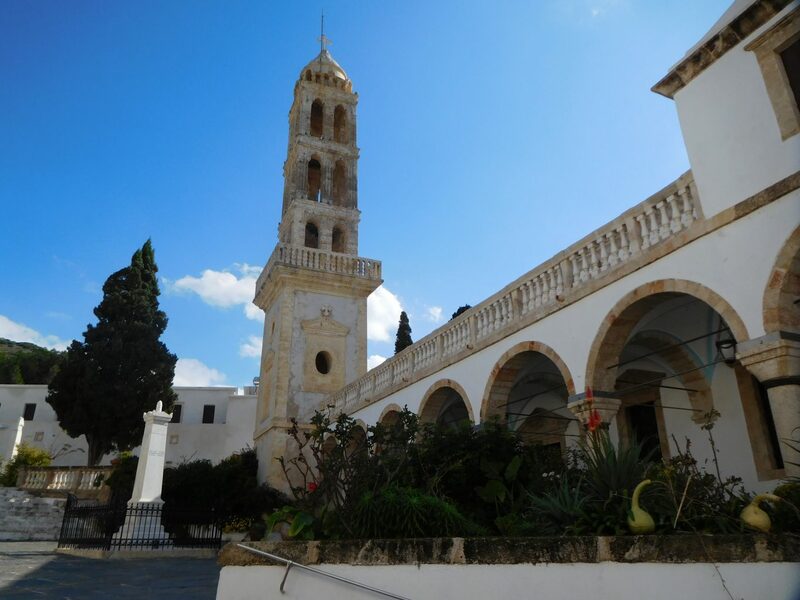 Myrtidiotissa is Kythira’s patron saint and islanders as well as many people from elsewhere visit the monastery. 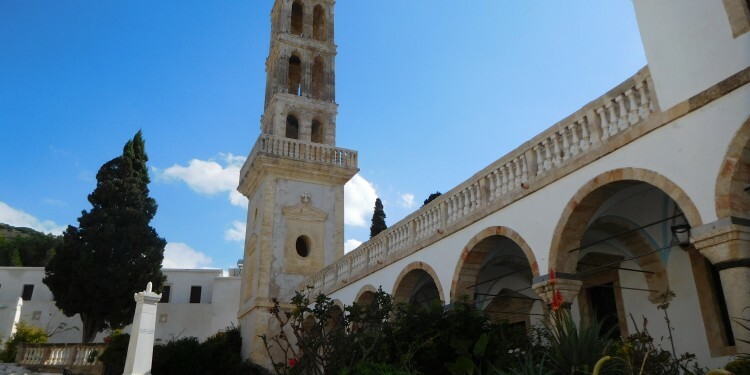 This time I was the only visitor and, in complete silence, I enjoyed the garden with its flowers, the beautiful architecture, the bright colours and especially the church interior and the crypt. The caretaker explained the scenes on Panagia’s icon to me and again, I heard more about Myrtidiotissa’s sacred power. She told me proudly that several decorations on the icon were donated by people who were not Greek Orthodox, in order to thank Myrtidiotissa for her help. Muslims, Jews, Catholics, Protestants and atheists. 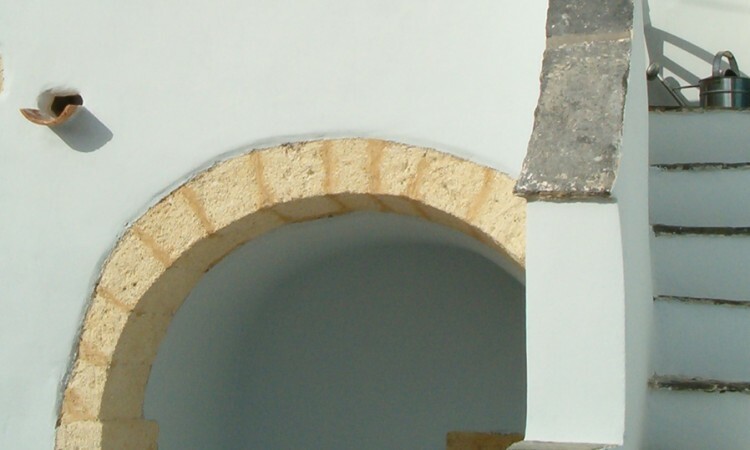 This means that Panagia Myrtidiotissa connects all people, regardless of ethnicity or religion. Then I was shown the workshop where three men were making large candles. They told me beautiful stories as well. In the meantime, the aroma of incense mingled with that of melting beeswax. Full of impressions, I continued my walk over the hills to Livadi.